Since the launch of Windows Vista, Microsoft loves Aurora’s. 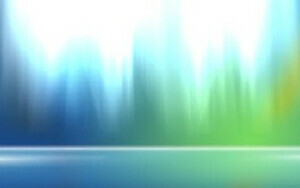 In Windows Vista, there is hidden Aurora animation that you can simply activate by type a simple command. To see the magic just type “winsat aurora” in the start menu search box, hit Enter and wait for a while. To exit the animation screen, simple press the Esc button on your keyboard.